Busy Leadbetter Beach, a broad, half-mile-long swath of sand along a shallow cove between Santa Barbara Point and the breakwater, just down the hill from Santa Barbara City College, is popular for swimming, windsurfing, and picnics. Accessibility •Beach Wheelchair: Yes •If you have a secured way to transport a beach chair, two are available from the Adapted Programs division of Santa Barbara Parks & Recreation, in the Cabrillo Bathhouse. They can be reserved Mon.-Fri., 8 am-5 pm, weekends 11 am-4 pm; call (805) 564-5421. •Accessible Parking: Yes •A few accessible spaces inside the paid area are at the end farthest from entry. Two accessible spaces are outside the paid area, in front of the café. Additional paid parking is in the Harbor West lot, opposite the beach lot. •Accessible Restroom: Limited Accessibility •The restrooms have room only for a front-approach transfer, the stall is not deep enough to close the door, and there's a sharp 90-degree turn into the stall. The closest accessible restroom is at the harbor. 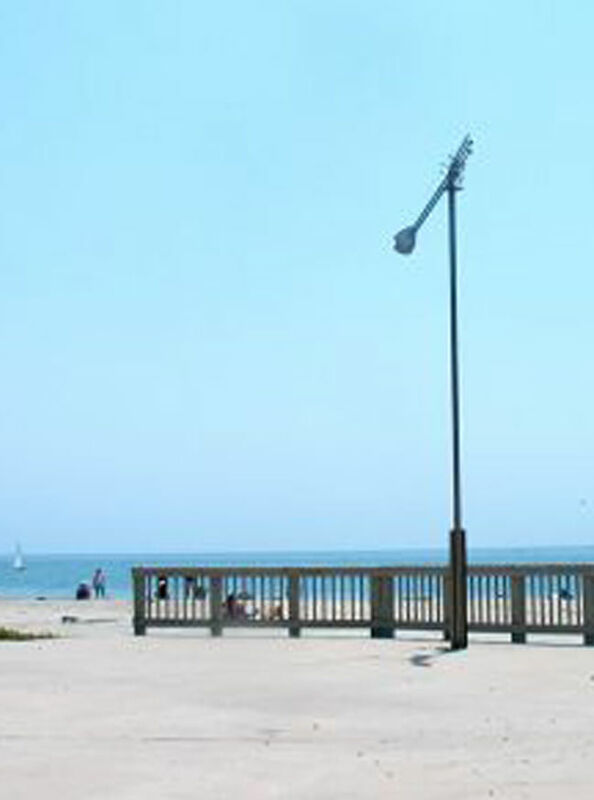 •Accessible Picnic Tables: Yes •Paved paths at both ends of the beach lead to two picnic areas on concrete pads. Others may be accessible but require travel across firm grass.